I just got home from an awesome beach vacation. I had the chance to relax and let the stress go for a whole week! Then I made the huge mistake of stepping on that damn scale. I gained 6 pounds!! How does that even happen?! And to top it off, I have zero motivation to get in shape. Yes I know round is a shape but I’m not willing to give up my cocktails y’all. Can’t I just meditate myself to lose weight? I’m so out of shape that I could fail a sobriety test stone cold sober. Walk a straight line heel to toe? I can’t even see my flipping toes! Someone suggested Yoga to help lossen me up and get fit. What the actual ____? How am I going to do Yoga if I can’t get touch my toes without sitting down to do it? So I googled Yoga for Fat People. Y’all. I spent the next hour watching fat people contort their bodies into positions that are frankly not normal. Unless you are in the circus. I might need to try yoga at home with a family member close by incase I get stuck in some weird pose. Someone will need to be able to call 911 if that happens. 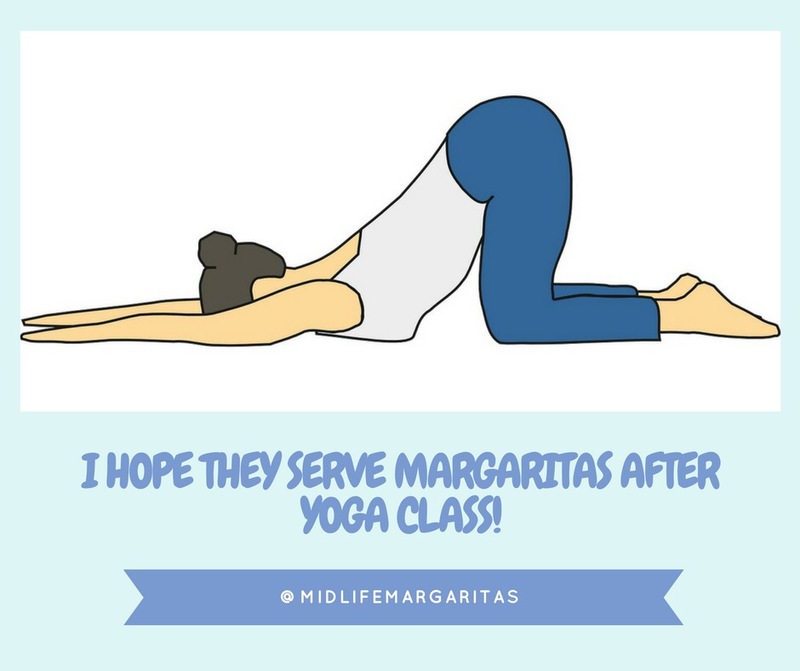 I’ll need an expensive Yeti thermos to hold my Margaritas ( I mean water) and keep it cold to get through my workouts. I need to consider cutting back on my food intake (no more cheese and crackers with my cocktails). Am I mentally ready to get in shape? Maybe I should talk to my doctor first. However she may faint if I tell her I’m considering getting into shape. If all else fails consider liposuction. I’ll let y’all know how it goes. Meanwhile I’ll keep watching these Yoga videos and see if I get motivated. Previous: Previous post: Margaritas, Sharks and Crappy WiFi. This is Vacation Week! Go the liposuction, it’s a win win situation.